Fancy jazzing up your go-to ponytail in no time? 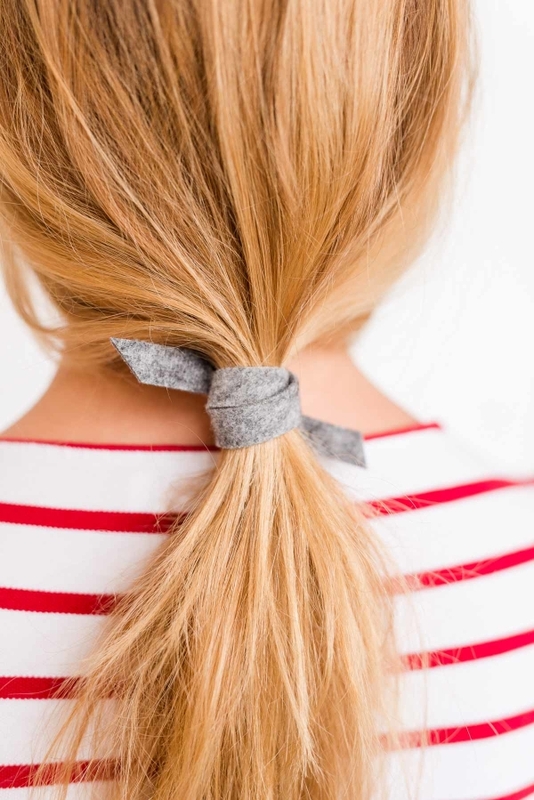 If so, instead of using a rubber band or a hair tie, try tying it with a piece of felt for a relaxed and sweet everyday alternative. I love the simplicity of it, don't you? P.S: Also, this one and that one.